Generally known as the most favorable kind of divorce to both sides, an uncontested divorce simply occurs when both parties agree to a legal end to their marriage, an equitable division of their community property and assets, and an agreeable plan for child custody. Typically, couples that participate in an uncontested divorce process will have already agreed to financial matters, including any child support payments or alimony payments. Uncontested divorces can proceed through several different processes, ranging from mediation to settlement agreements and more. Couples can elect to use either the same legal representation or different attorneys based on their needs and personal preferences. This results in a few key benefits for both parties, including a lower overall financial burden, a quicker proceeding, and a faster divorce that becomes finalized in a matter of a few weeks or months rather than a few years. How Can I Convince My Spouse to Agree to an Uncontested Divorce? The arguments in favor of an uncontested divorce are clear, and they’re almost always the best way to convince a reluctant spouse to put their differences aside and participate in a marital settlement process or divorce mediation. In fact, these arguments are good enough to persuade an estimated 95 percent of couples to try such a divorce before they resort to other procedures. Employing our experienced uncontested divorce Las Vegas attorneys, moreover, will ensure that the process is as smooth and painless as possible for yourself, as well as your family. – Cost: An uncontested divorce in Las Vegas simply costs less, and it’s even possible for a couple to use the same mediator or attorney and reduce the costs even further. For spouses who are budget-sensitive, an uncontested divorce is generally a no-brainer. – Length: Because there are no major disagreements or back-and-forth wrangling between separate attorneys, the uncontested divorce generally takes only a few weeks or months. Conversely, the average contested divorce typically extends well beyond a year in length. – Children: We elieve that placing kids in the middle of a contentious divorce process should be a last resort for parents. Parents who can pursue an agreeable custody, support, and visitation arrangement will benefit their children in a big way for years to come. The term “uncontested divorce” is broad, and it covers a few different methods that can all lead to a quick, agreeable, and equitable outcome for both parties. 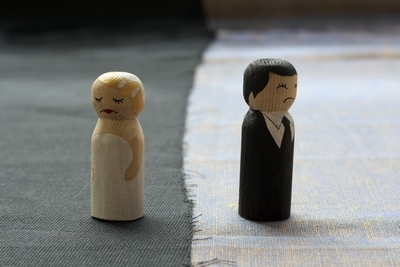 In Nevada law, there are several ways to proceed through a divorce in a manner that’s agreeable to both sides and results in quick, uncontested proceedings that are simply less stressful and less costly overall. The mediation process is one that many couples choose to engage in because it actually helps prevent a number of disputes as the divorce goes forward. Mediators cover everything from the distribution of property to the division of debt, financial issues like child support or alimony, and even matters of custody. Couples are encouraged to handle each issue individually, coming up with an equitable agreement that places equal benefits or burdens on each individual. The agreement reached is submitted as a divorce agreement through the courts, and judges typically honor this agreement as a quick and easy way to finalize the divorce without dragging proceedings on any longer than necessary. Mediation should be considered the top option for couples that may not necessarily disagree on the big issues, but want to ensure that they can work out any minor disagreements before they become more heavily weighted in the process. 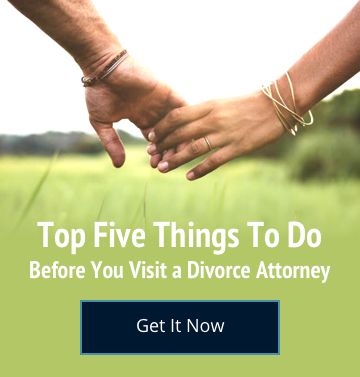 It’s also a great way to learn more about the rights and responsibilities assumed during the divorce process and its potential outcomes, and one that generally is less costly than other options. The agreement, when it’s completed, must be submitted to a judge. Their job will be to assess whether or not the agreement is fair to both sides. That doesn’t mean that both sides need to be receiving exactly equal shares of each item, but simply that everything should be fairly divided in good faith. If the judge sees the agreement as fair, it will be filed along with the final divorce papers and it will become the blueprint for dividing property and assets, pursuing financial concerns, and initiating any child or spousal support payments agreed upon in the document. Essentially, both couples file for divorce at the same time. This indicates that both parties agree to the separation and it includes joint agreements that cover most of the major issues. This is the closest process to a traditional legal proceeding, and it’s the one that is most commonly pursued to initiate an uncontested divorce. Attorneys at the Steinberg Law Group will help to cover and settle any issues where there might be a greater need for detail or the potential for smaller disagreements. Couples with children will need to work on a plan of action relating to the custody and support of their children. Primary custody, regular visitation, and an agreement about child support are all part of this rather broad agreement between the parties.